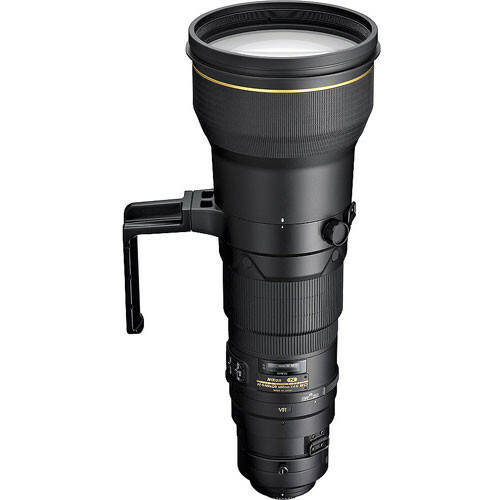 A fixed telephoto lens with great low light capabilities. Very sharp and quick to focus with superb image quality, great for wildlife in open spaces and bird photography. Works well with Nikon 1.4x teleconverters on high-end bodies with only minor loss of image quality. Being a fixed lens it lacks the versatility of a zoom lens and is large and heavy. With a super telephoto focal length of 600mm and a large aperture of f/4 this lens is excellent for wildlife and sports photography. Two fluorite lens and Extra-Low Dispersion (ED) glass elements, together with a Nano Crystal Coat reduces flare and ghosting to provide ultimate sharpness. A 4-stop optical stabiliser ensures blur-free images at slower than ideal shutter speeds. Lens will be supplied with front and back cap and protective lens bag.